Wall Street. The name has been in the news lately – describing a concept, capitalism, rather than a real place. But the Occupy Wall Street movement has thrown up some interesting historical references – so let’s look again at the place itself. 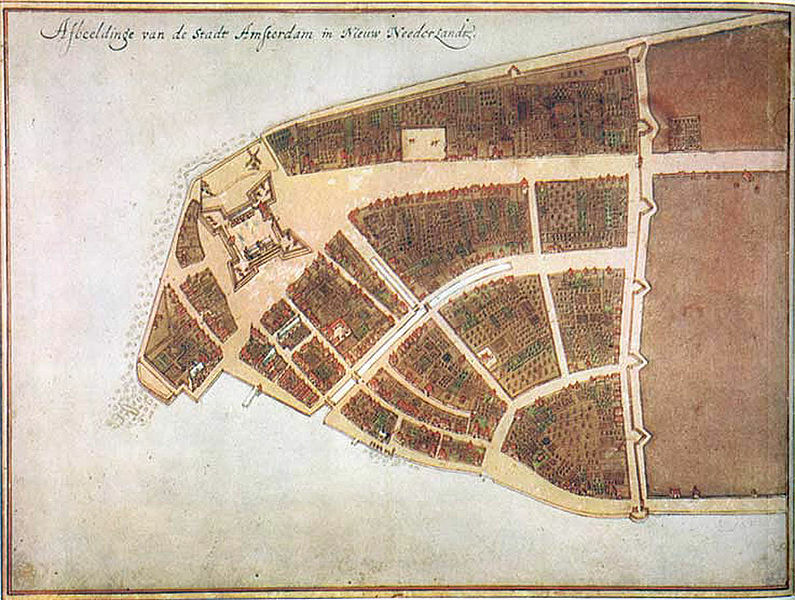 The Dutch who settled Nieuw-Amsterdam in the early 17th century first occupied the southern tip of Manhattan Island, the area around Battery Point. Along the northern limit of their settlement, using African slaves, they built a defensive wall or palisade. The earliest map of the settlement, the Castello Plan, shows this fortification along what is now Wall Street. Castello Plan, from Wikimedia Commons. North is on the right, with Wall St running from top to bottom. While Broadway followed a Lenape pathway, and was sympathetic to the local topography, Wall Street was not, running directly at right angles to the ancient route. Fast forward from Peter Stuyvesant and his 17th century colonists to 19th century Brisbane. 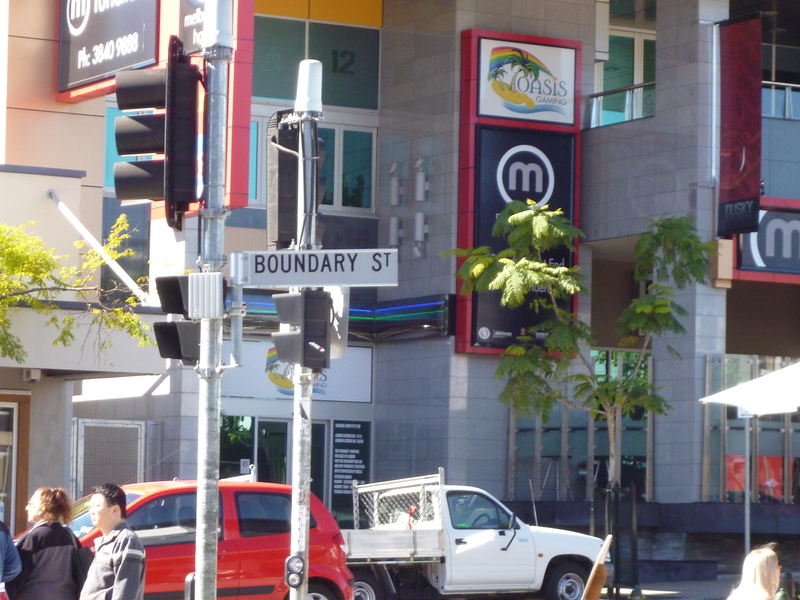 Brisbane has many streets called Boundary Street, but 2, through Spring Hill to the north of the river, and West End to the south, are critical. These streets too run in straight lines in defiance of local topography, a good hint that early surveyors were involved. Using chains and trigonometry, the surveyors marked out straight lines across the landscape, carving out a chunk of land that would be put up for sale for town lots. The evidence is sketchy, and often based on the repetition of the same oral tradition, but it goes back a long way. In any case, as Brisbane was surveyed and sold, lot-by-lot, the surveyors’ pegs creeping across the landscape marked the alienation of the land from its original inhabitants. In Australian law today, freehold title extinguishes native title, and introduces the idea of trespass on private land. 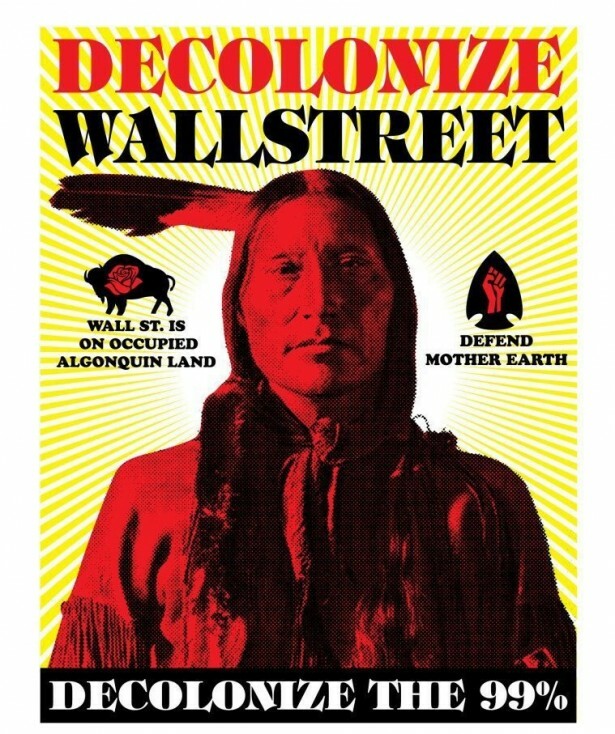 Meanwhile in America, the Occupy Wall Street movement has thrown up an interesting irony for today’s Native Americans, who argue that Wall Street is already occupied territory. Guilty can’t be inherited, but property can be. Forgive us our trespasses.